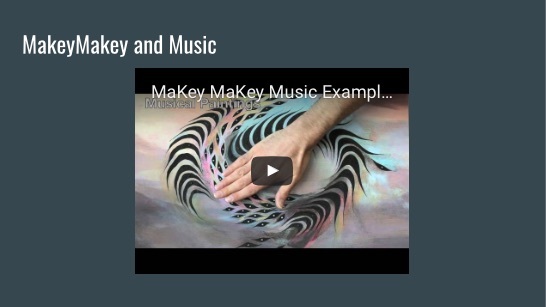 Making Music With Makey Makeys #MusicMonday « Adafruit Industries – Makers, hackers, artists, designers and engineers! This presentation was given at the New York State School Music Association (NYSSMA) Winter Conference on December 3, 2016. These slides, along with examples of student work from my 6th grade general music class, were presented to an audience of public and private music teachers from around New York State. Following the slides, participants in the session had the opportunity to experiment with MakeyMakeys and various materials and online resources.